Depending on your level of anxiety and how resilient you are, feelings of fear, butterflies etc. can soon be dissipated when we pay attention to the present in a particular way followed by mindfulness course. One that nurtures our body-mind’s innate capacity for relaxation and calm. To help connect you with an inner sense of safety, start taking a gentle look around the room… Notice the objects surrounding you… first on the floor…now on the wall… Notice the different colors… the textures. 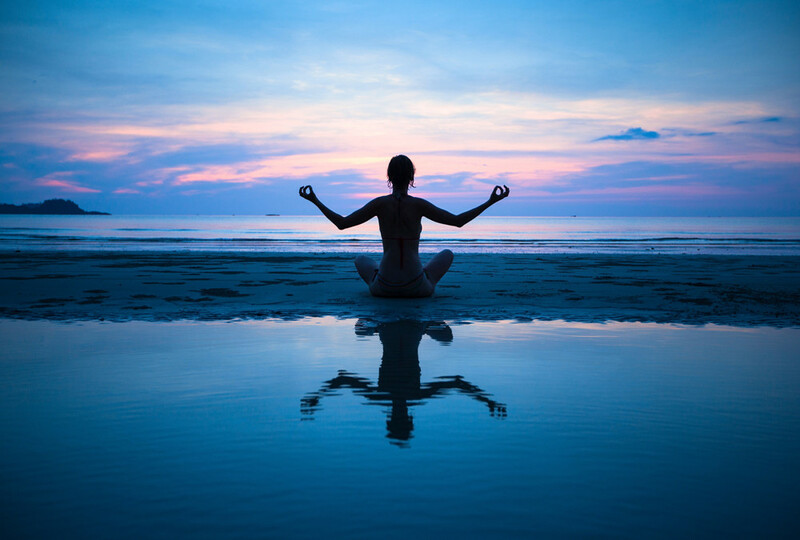 Allowing your body and breath to respond in their own intuitive way, softening and settling, molecule by molecule, as you give yourself time to connect more closely with the here and now. Take a moment to feel your feet in contact with the still, steady ground. Place your other hand on your abdomen wherever you most sense that it feels supportive and calming to your baby. Intend to calm the both of you. Stay here for as long as you wish, giving your nervous system as much time as it needs to settle, relax, feel comforted and let go of whatever was triggering you. When you’re ready, take three deep breaths, blowing out through the mouth on the exhalation. Doing this will further switch on your parasympathetic nervous system which controls your – and your baby’s – rest and relaxation levels. What Is Vinyasa Yoga and Its Advantages?